Thursday, may 31, gasoline has again risen in price — the average price in the gas stations of Novosibirsk reached 40.35 rubles per liter of AI-92. Against this background, the authorities predict a rise in the popularity of gas fuel, which is cheaper twice. 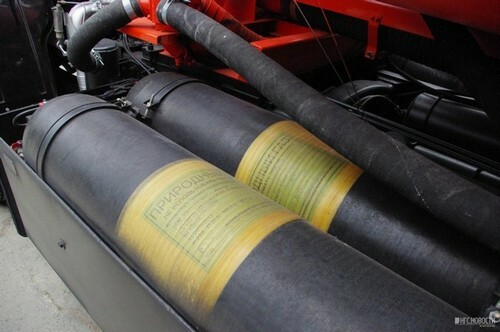 As reported by “Rossiyskaya Gazeta” Deputy energy Minister Kirill Molodtsov, the fleet of vehicles with gas-cylinder equipment (HBO) will grow in the country every year by 10-30 thousand pieces. The gas runs the risk of losing your main advantage — price. “I can assume that in the future, when the car Park is and therefore the consumption of gas will be significant, we may face a situation of rising gas prices,” — said the Deputy Minister. However, while gas is cheap — the average price of a liter of propane-butane mixture at the gas stations of Novosibirsk is now 20 rubles. And of course, feel tempted to spend money once on installation of the equipment, and then okay to save. It is considered that the propane consumption other things being equal will be 10-20% higher gas mileage on the same car, it needs to be incorporated into calculations of savings. “Half the cost, of course, catches the eye, but you need to consider all the factors. Gas at different gas stations different in quality. Well, 20% definitely consume more gas,” — explains the Director of car centre “the 7 keys” Gennady Evgrashin, prepared at the time a thesis on gas equipment. Now in Novosibirsk there are many companies offering their services for the installation of related equipment. The cost of the work turnkey for propane starts from 25 000 rubles — for the money, you converted a simple 4-cylinder engine using LPG fourth generation. However, serious cars and more advanced equipment will require large expenditures. “Problems have enough gas, for example, the price of LPG fifth generation. A good car with a 6-cylinder engine will be 60 thousand rubles. Then to recoup, you have to drive 30-40 thousand miles a year, and the average person travels in a year 20 thousand”, — says the expert. Nevertheless, try to estimate the savings for the average small car with an average consumption of 92 octane gasoline 12 liters per 100 kilometers. At current prices the annual cost for gasoline will be 97 000 rubles. Gas will require 20% more spending on it will amount to 58 000 rubles. Given the cost of LPG is the savings in the first year will be 14 000 rubles, and in each subsequent — 39 000 rubles (about 3000 rubles per month). “The savings are illusory. Needless to LPG takes place, it needs somewhere to stick. I saw “Toyota Tundra”, where the equipment is half of the body is. There are other factors of fire danger, run in the winter, in the cold and still need to start on petrol then switch to gas. Often the engines valve burn through, because the gas does not cool as gasoline. For a gas refill even run, look again. Despite the seeming benefits there are nuances. But the harm from the exhaust is much less than from gasoline,” concludes Gennady Evgrashin. Loginto rateSurvey completedYou have successfully voted! The results will be published at the end of the survey. The transition to gas is now justified. Saving is not obvious, it is better on gasoline. The debtors traffic fines selected cars and wish to sell with huge discounts.